prevent spots, freckles and pigmentation caused by sunburn. Vitamin B6 enriches Vitamin E’s antioxidant effect. Dosage: Adults 15 years and over, one bottle (60ml) daily. 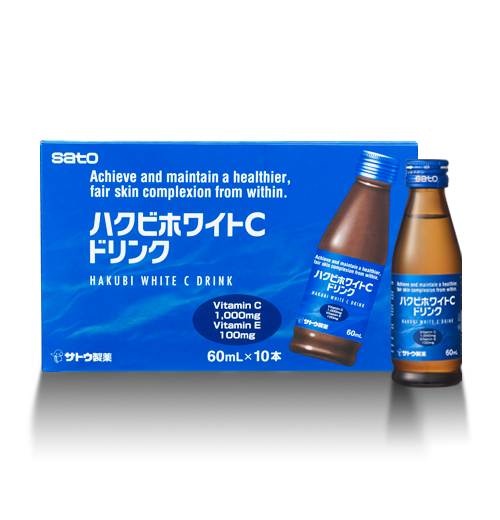 Complements Hakubi C tablets and gel.